Porting the incredibly popular Temple Run mobile game to VR is an entirely new experience. Among the more “high profile” launch titles, Temple Run for Gear VR looks incredibly slick. For those unfamiliar with the original title, you are an anthologist with excellent stamina trying to outrun a giant ape-like creature and escape the Temple. Aside from its gorgeous visuals, the low user input, high adrenaline output nature of the title makes it especially appealing. This should definitely be one of the early benchmark mobile VR experiences. When Samsung debuted the Gear VR in September, James’s Legacy: The Prologue was the only game they showed actual footage of. Echoing Lucky’s Tale the game is set to be a third person puzzle adventure that takes users to a number of colorful planets. We don’t know much about the game, produced by Nestoss, but from the game play footage (courtesy of VRFocus) it looks like it will be a fun, and beautiful experience. 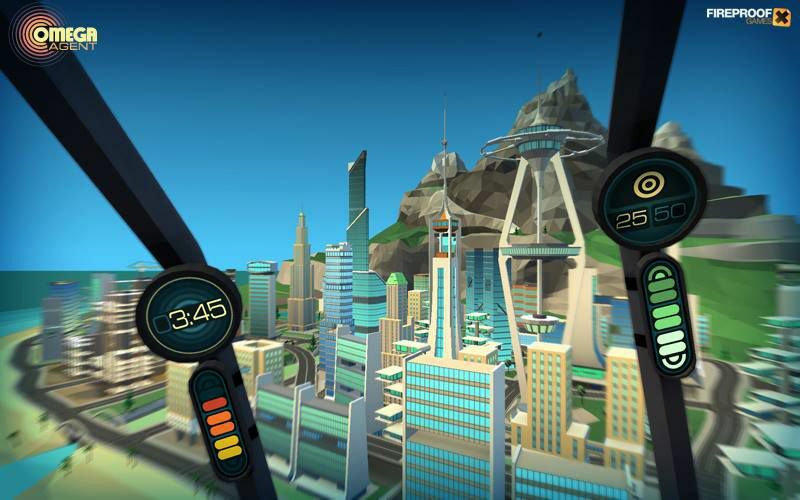 In this Gear VR exclusive title, you are the Omega Agent, an agent on a mission to fly his jetpack all around a gorgeously rendered city. Fireproof Games, creators of the famous The Room series of mobile games, developed the game. The game is “set on a remote island training facility for cold-war super-spies, the player straps on a prototype nuclear-powered jetpack and blasts around a city filled with breath-taking events and daring missions.” Fireproof, you had me at “jetpack,” I’m pumped to get my Bond on. In this game, produced by Ozwe, the player controls a “spaceship from a third person perspective and must defend their mothership from attack by enemy forces.” Space battles in VR? Sign me up please! This game has also received a lot of compliments from influencers like Cymatic Bruce, who called the game “brilliant.” If this game plays half as well as it looks it should be a huge success, it takes the old school fun of arcade games and puts it in a whole new medium. Not much is known about this game, created by DENA/Mobage who were behind the excellent mobile game, The Drowning. Tech Sources reports the experience “treats the headset as a night vision, X-ray vision, and thermal vision device.” Interested to see what this is, but if its anything like The Drowning it should be excellent. In addition to these games there are a number of VR experiences that will be released with the Gear as well. For more on those, be sure to check out Part 2.